We'll give you more reasons to smile. 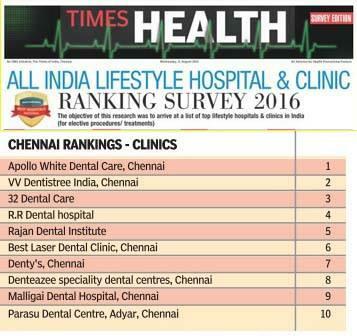 At Malligai Dental Hospital Chennai clear ceramic braces are a popular choice among many patients. They are prepared using ceramics that are made to match the color of your teeth. Because of their clear and transparent nature, ceramic braces hugely opt for adult patients who wish to straighten their teeth without drawing much attention to their braces. Ceramic brackets are mostly stain-resistant. Throughout your treatment, they will not become discolored. Ceramic braces are distinctive and unique because the color blends with your natural teeth, making them less apparent when compared to traditional metal braces. Ceramic braces are less hurting than traditional metal ones because they do not irritate the gums. Ceramic braces either have semi-translucent ceramic brackets, which are better advised for white teeth, or tooth-colored ceramic can be used which is better used for slightly darker teeth. Either way, they are aesthetically pleasing and blend in well. Ceramic braces are durable and are high-quality. They usually don’t chip, break or crack unless they are severely abused. • Ceramic brackets are more expensive when compared to metal brackets. They are also slightly larger, but they merge well with teeth, so this is not an issue for most patients. • Like traditional metal braces, ceramic braces use clear or white ligatures to hold the archwire in place. They’re changed at every modification as they are porous and can get discolored. • Since ceramic brackets can’t withstand as sufficient pressure as metal brackets, ceramic braces are usually not recommended for patients who have complicated issues and who need extensive treatment. Metal braces are the most recommended orthodontic treatment for children and teens. Metal braces often referred to as train tracks, have improved and advanced in many ways and are now a lot more visually pleasing and comfortable than before. • Metal braces can be brightened up with different colored ligature bands with each appointment.